JONNY CLAYTON is hoping to break into the world's top 16 as the battle continues for places in The Masters in February. Welsh ace Clayton has made big strides over the past 12 months since reaching his first televised final at the Players Championship Finals. The Austrian Darts Open winner, he reached the bwin Grand Slam of Darts quarter-finals in Wolverhampton - including a confidence-boosting win over Michael van Gerwen in the group stage. Now 17th in the PDC Order of Merit, Clayton is hoping to break into the top 16 following the Players Championship Finals and William Hill World Darts Championship to secure a coveted Masters spot. "It’s been a great year for me," said Clayton. 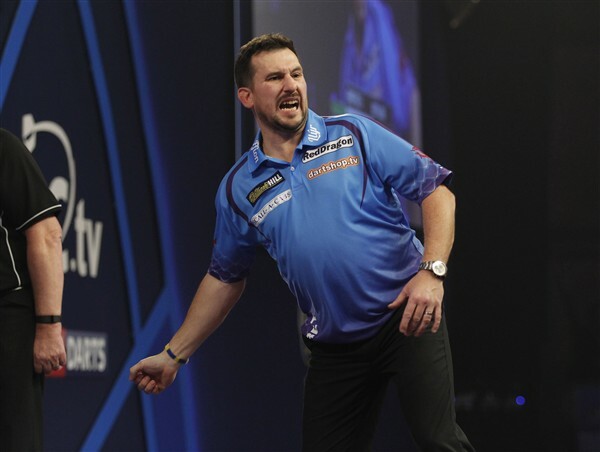 "Winning my first PDC title and my run at the Grand Slam have been the highlights and have put the top 16 in reach for me. "I won't worry too much about it because I having been thinking about it to get to this position so I don’t want to change my attitude now. "If I carry playing the way I have been then I should make the top 16 sooner rather than later and that is something to be proud of. "There are also lots of other opportunities that come with that and it would be huge for my career." The top 16 players from the PDC Order of Merit following the conclusion of the William Hill World Darts Championship qualify for The Masters, which is also set to include new bwin Grand Slam champion Gerwyn Price. The Masters will be held from February 1-3 at the Marshall Arena in Milton Keynes. Tickets are available now through pdc.seetickets.com.